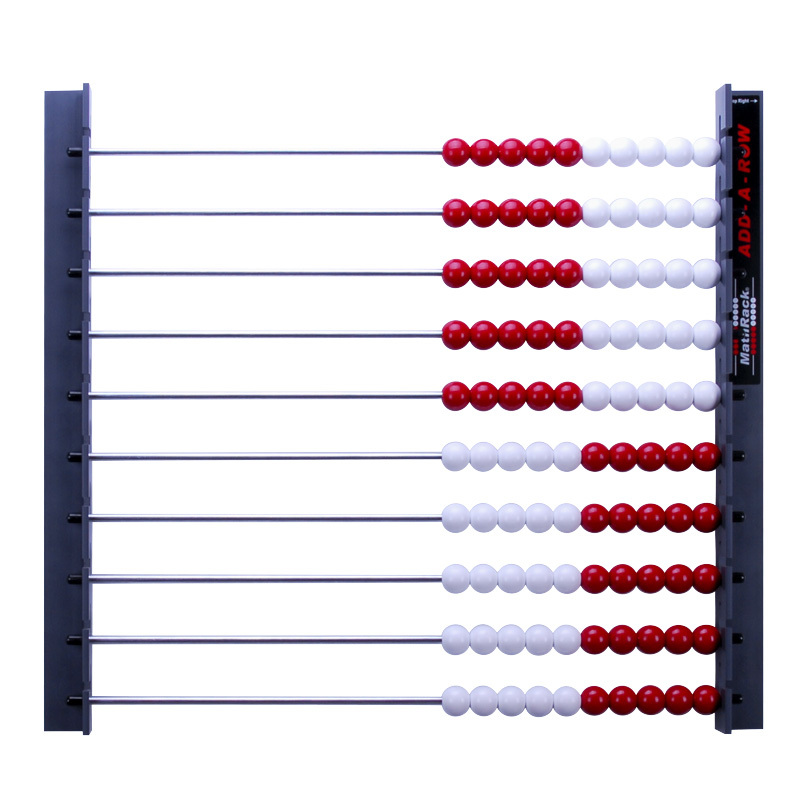 This classroom demonstration product features 10 easily removable rows of 10 large red and white beads (5 red / 5 white) making it a versatile teaching tool for a variety of math lessons. The MathRack Add-A-Row 10 Row is also magnetic, durable, lightweight and easy to assemble. This product provides endless opportunities for subitizing larger quantities, demonstrating magnitude, as well as being a model for addition and subtraction of double digit numbers, and ‘groups of’ for multiplication and division. Yes…numbers do not end at 100!